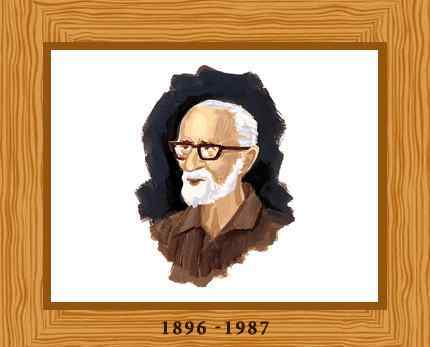 Salim Ali, one of the greatest ornithologists and naturalists of all time, is also known as the “birdman of India”. He was one of the very first scientists to carry out systematic bird surveys in India and abroad. His research work is considered highly influential in the development of ornithology. Salim Moizuddin Abdul Ali was born on 12 November 1896 the youngest of nine children. His father, Moizuddin died when he was a year old and his mother, Zeenat-un-nissa, passed away when he was three. Now orphaned, Salim Ali was raised by an aunt, Hamida Begum and uncle, Amiruddin Tyabji, in Mumbai. As a 10-year-old, Salim once noticed a flying bird and shot it down. Tender at heart, he instantly ran and picked it up. It appeared like a house sparrow, but had a strange yellowish shade on the throat. Curious, he showed the sparrow to his uncle Amiruddin and questioned him about the bird’s kind. Unable to answer, his uncle took him to W.S. Millard, the Honorary Secretary of the Bombay Natural History Society. Amazed at the unusual interest of the young boy, Millard took him to see many stuffed birds. When Salim finally saw a bird similar to the child’s bird, he got very excited. After that, the young Salim started visiting the place frequently. Salim Ali attended college, but did not receive any university degree. To assist his brother in tungsten mining and timber, he went to Burma (now Myanmar), but spent most of his time looking for birds. Soon, he returned back to Bombay. As soon as Salim returned, he studied and completed a degree in zoology from St Xavier’s College. He married Tehmina Begum, a distant relative, in December 1918, and secured a position of a guide in 1926 at the museum of the Bombay Natural History Society. He conducted the visitors and instructed them about the preserved birds. His interest in the living conditions of birds grew even more. Therefore, Salim visited Germany and visited Dr. Irvin Strassman, a world famous ornithologist. He returned to India in 1930 after one year but his post in the museum had been removed for financial reasons. Salim Ali, as a married man, required money to make a living, so he joined the museum as a clerk. The position allowed him to carry on with his bird research. His wife’s house at Kihim, a small village near Mumbai, was a tranquil place surrounded by trees, where Salim would spend most of his time researching about the activities of the weaver bird. He published a research paper discussing the nature and activities of the weaver bird in 1930. The article made him famous and established his name in the field of ornithology. Salim also traveled from place to place to find conducting bird surveys and making detailed observations. Tragically his wife died in 1939 following a minor operation. From what he had collected, he published “The Book of Indian Birds in 1941” in which he discussed the kinds and habits of Indian birds. The book sold very well for a number of years. He also collaborated with S. Dillon Ripley, a world-famous ornithologist which resulted in the ‘Handbook of the Birds of India and Pakistan’ (10 Volume Set); a comprehensive book covering ten years of work from 1964-1974 that describes the birds of the subcontinent, their appearance, habitat, breeding habits, migration etc. Salim also wrote other books including regional field guides, “Common Birds” (1967) and his engaging autobiography “The Fall of Sparrow” in 1985. Salim not only researched about birds, but also contributed to the arena of protection of nature. For his extraordinary efforts, he was given an international award of INR 5 lacs, but he donated all the money to Bombay Natural History Society. The Government of India honored him with a Padma Bhushan in 1958 and the Padma Vibushan in 1976. This genius man died at the age of 90 on June 20, 1987 after a prolonged battle with prostate cancer.